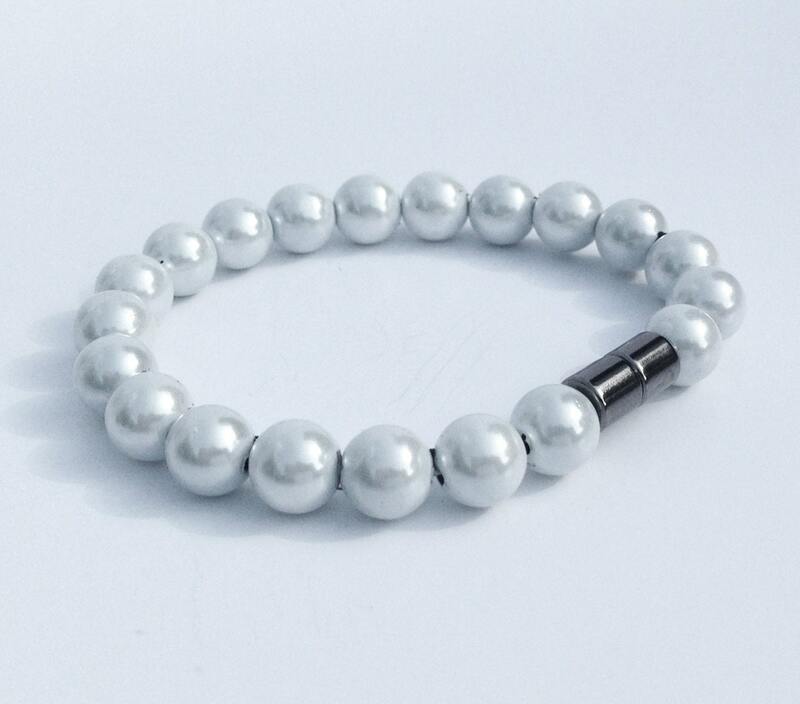 Magnetic hematite bracelet with a pearly lustrous finish. The color is what I would call more of a true white rather than an ivory or off white, though the definition may vary person to person. 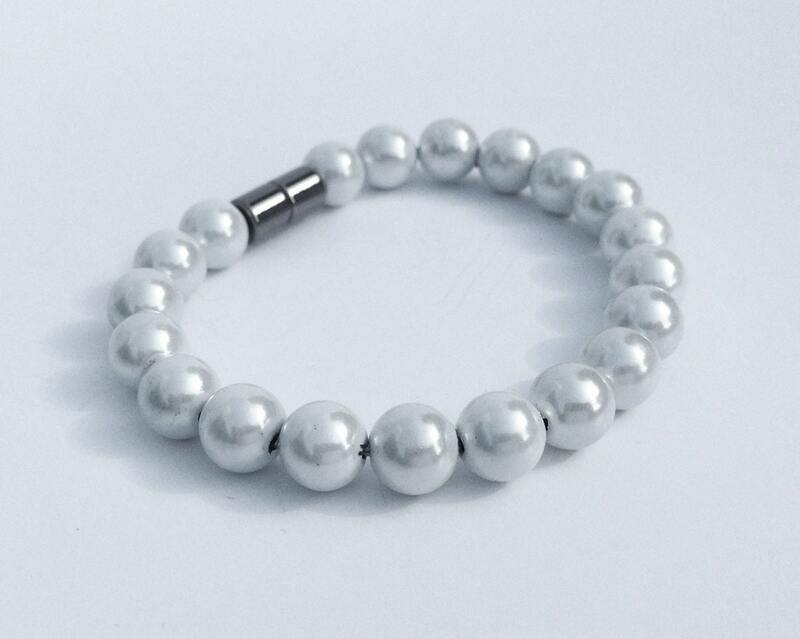 The bead size is 8mm and the entire piece is magnetic. Love this. Very pretty & perfect fit.